Governance Committee: The Governance Committee created the St. James Catholic School Advisory Board and its bylaws in 2015. Since then, its primary role has been to recommend and appoint new Board members and to orient them. It also conducts surveys of the Board and helps resolve any issues that might arise. Members are the pastor, principal, business manager, current and past school parents, school faculty, and Good Shepherd parishioners. 2017-18 members are Msgr. Tom Baxter, Principal Michael McCabe, Business Manager Michael Benesh, Lu Ellen Childers, Karen Grosse, Subbu Ravi, Michael Schultz, Barbara Sella, Kristel Tatus, Kelli Thompson, and Mary Witte. St. James Home and School Association: The Home & School Association provides support to students and staff through its fundraising activities. It is also is a catalyst for the strong community feeling we have within the St. James School. Join us, as we are also looking for new ideas and your support to continue to improve the many offerings made available to students, their families and staff members. St. James School Athletic Association: This is an very active organization whose responsibilities include coordinating the St. James School sports teams that participate in the MAISL Sports League. This includes recruiting coaches for all the sports each season, running the games and tournaments that are scheduled at our school's gym, fund raising through selling parking in the parish/school parking lot during UW Home Football games and organizing the Athletic Awards Dinner each May to recognize the good work of the school's athletes. The St. James Advisory Board is tasked with one major objective: to maintain and advance the school’s mission and vision as a successful, sustainable not-for-profit business. To achieve this goal, the Board of Directors will be asked to focus on school fundraising and development initiatives, on elevating the school’s mission and profile, and on improving enrollment and retention. By developing strategic, long-term solutions, we know the Board of Directors will help us to rise and meet the challenges facing St. James Catholic School. 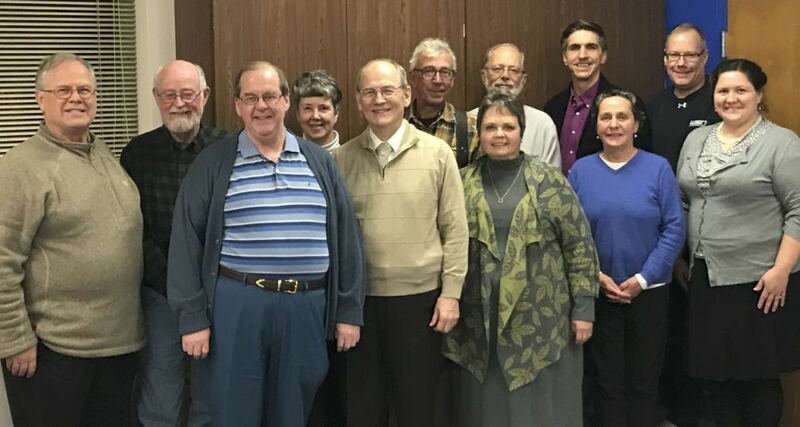 The present members of the Advisory Board are James Statz, Chair; Bonnie Moschkau, Vice-Chair; Martha Harrison; Dennis McKinley; Mark Miller; Michael Schultz; Michael Theisen, Kim Wadas, John Witte, Jane Grinde, Jon Grinde, and non-voting members, Msgr. Thomas Baxter, Pastor; Michael McCabe, Principal; Staff: Michael Benesh, Business Manager; Mary Unmuth-Yockey, Fund Raiser Director; and Mary Corcoran, Enrollment Director.